PAKAMISA and Back to Work! Well, I thought seven days off is a lot of time. Not so! But, yesterday I got a bit of a break. I spent a night in a beautiful game reserve, specializing on horseback safaris. Its name is Pakamisa, which means “lift up” in Zulu. The lodge is located on top of a mountain near Pongola. 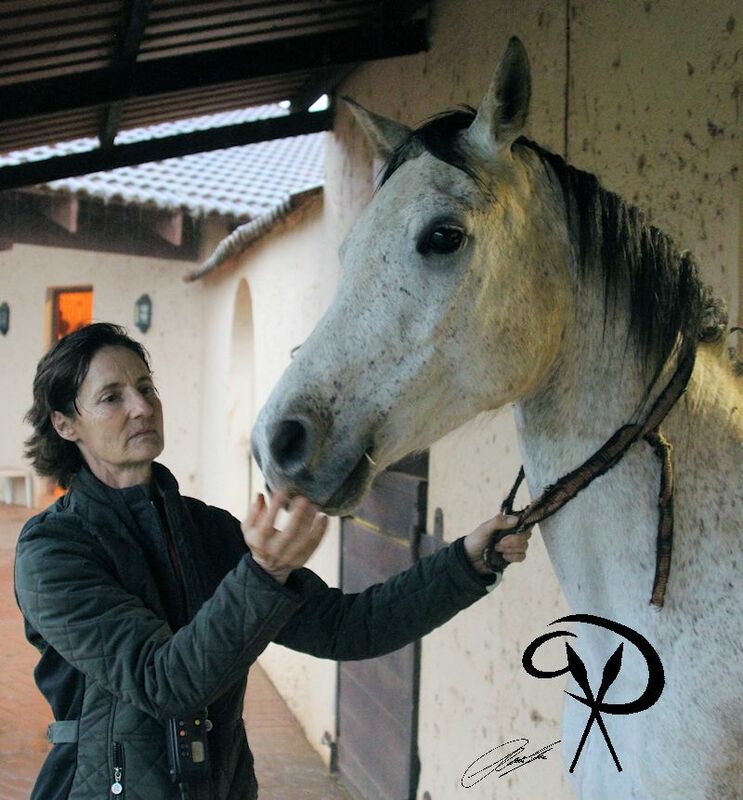 Isabella Stepski (In the picture with one of her Arabian Horses) has created this very special place in Zululand. Well, don’t laugh, but the horses are not strong enough for a portly gentlemen like me (the rider weight limit is 90kg=200lbs), but I still enjoyed my stay very much. 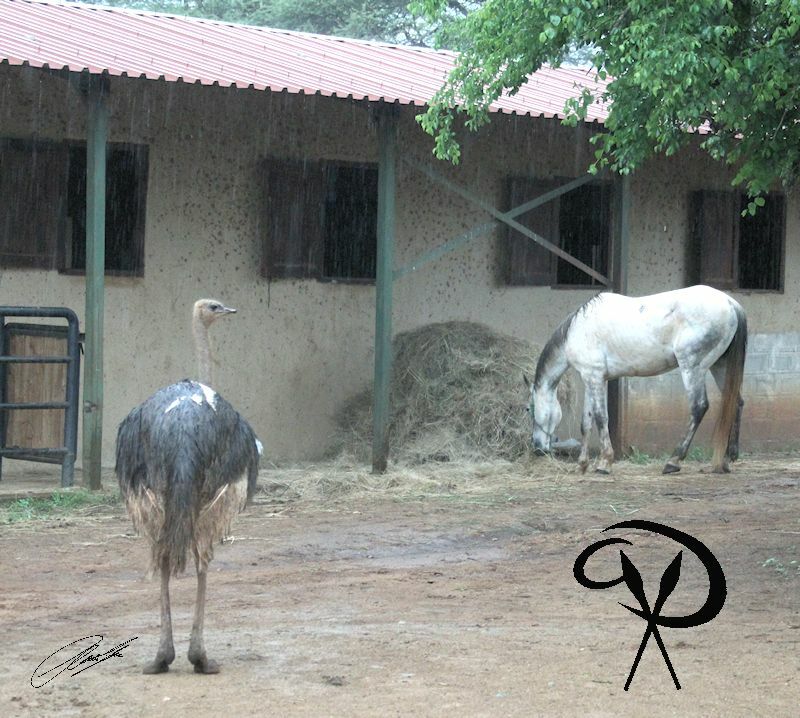 The weather was bad – it rained very hard – but we still went for a short game drive and had a look at the scenery and at the stables with over 30 horses (the picture shows one of the Horses with one of the free roaming Ostriches on the property). Even if you have never been on horseback before, this special type of safari is a great addition to the traditional “big five game reserve” experience. I will certainly be back to take pictures in better weather :-). Have a look at Pakamisa’s website www.pakamisa.com! Christian glad to see that you were able to slip away if only for alittle while. Time seems to fly when your off. Horseback safari sounds like it could be lots of fun and very interesting thing to do in S.A. Something that I would have never thought possible. 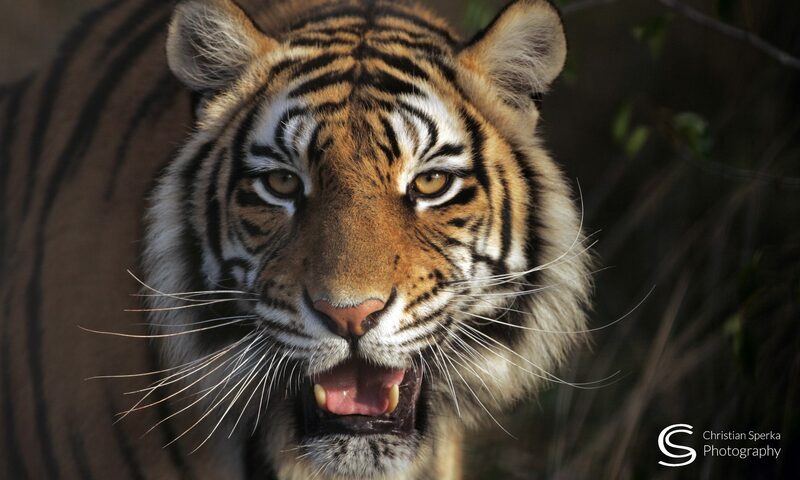 Have a Great Day, have fun with driving school. I saved the Pakamisa website to daydream about. Christian’s first visit at Pakamisa!